According to Livermorium, the hosts of an Indiegogo campaign that received nearly $165,000 in funding for a slider keyboard Moto Mod, the Moto Z lineup of devices from Motorola are “extremely unpopular in most places,” and not only that, but they have seen, “no commercial interest in selling” this mod. Motorola, if you feel a slight sting, that’s pride messin’ with you. /end Pulp Fiction reference. Couple the apparent lack of interest from retailers and production issues related to part suppliers, the Keyboard Mod has been cancelled and will not be made available to those who funded the campaign. Instead, Livermorium notes they will be happy to issue refunds to all, though, they’d much rather you support an entirely new phone called Q-Device (not the final name). 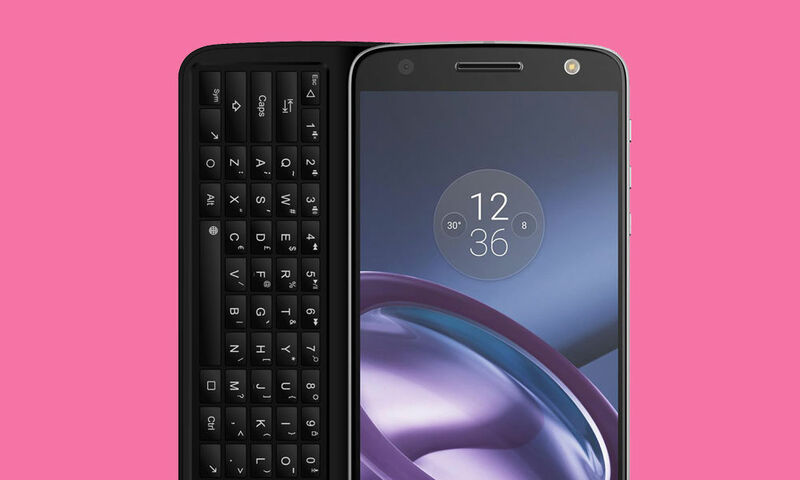 Targeting a Q4 launch, Q-Device will have a slider keyboard for everyone dying to relive 2009, and is it noted to be much slimmer than the Moto Z + Keyboard Mod combination. In cancelling this product, Livermorium was very straightforward about all aspects, especially in the Moto Z isn’t popular part. Here’s exactly what was announced to campaign backers. There is no commercial interest in selling / retailing Keyboard Mod from official Moto Mod sources. It is very hard to sell this Mod via other retailers who wanted to help, as a phone accessory. Because Moto Z phones are very uncommon and have a very low % of market share. We did not receive any external financial support from any entity, besides your contributions and donations, which has already been spent on 2017 for product development, moulding and sampling. We have been financing this project ourselves for pre-production, prototyping and component sourcing. It is not feasible for us to do marketing ourselves because this product cannot be used alone, it has to be used with Moto Z, which are extremely unpopular in most places. If you were looking forward to decking your Moto Z with this slider keyboard mod, we’re sorry.